"Items such as heatsinks and cables are added automatically when required to build your desired specification. These items cannot be selected manually. Checking this option can remove them from view to make your product selection easier." Heatsink(s) & Riser Board(s) are automatically added to your configuration as the system requires. All RAM listed below is compatible. Low-voltage RAM is best for applications requiring minimal power consumption. VLP is Very Low Profile RAM for systems with limited vertical space. There is no difference in compatability or performance. Some HDDs appear more than once with different prices due to the way we stock our hard drives. The price variation simply reflects the raw market value of that specific SKU in our system, however the functionality and quality is identical. Machines with Windows 7/8 OS already on the chassis are eligible for a free upgrade to Windows 10. See our guide here. Big Performance, small footprint. Dell continue to inspire with their excellent Precision range through the T5500. Featuring the renowned 5600 series Intel Xeon Processors this workstation produces Twelve-Cores of processing power and allows for expansion of up to 144GB of DDR3 Registered RAM. 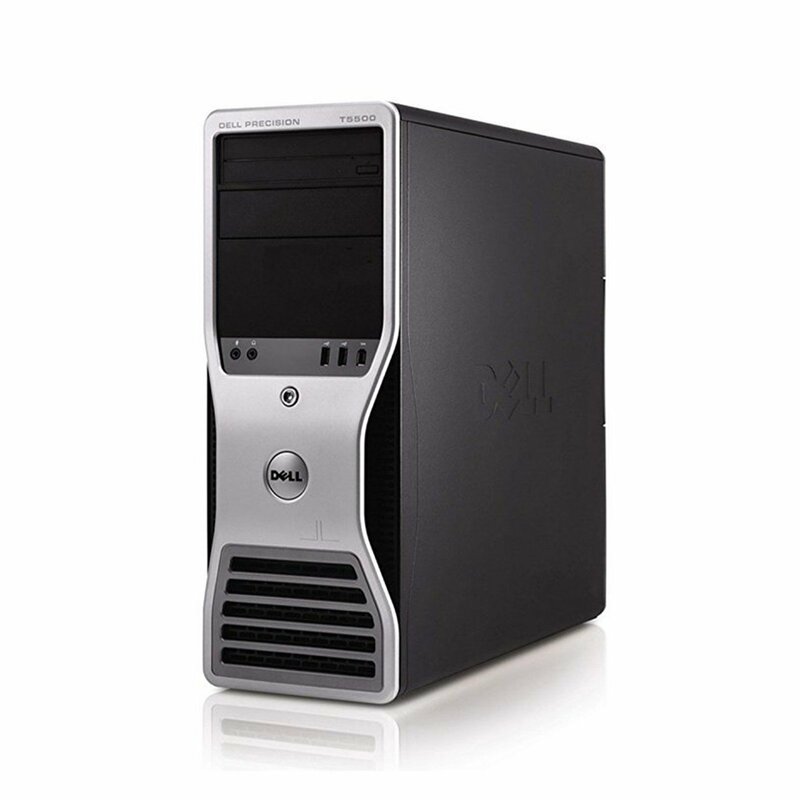 This powerful T5500 workstation is ISV (independent software Vendors) certified to work with many top editing software which has allowed Dell to produce the perfect Workstation for designers all around. 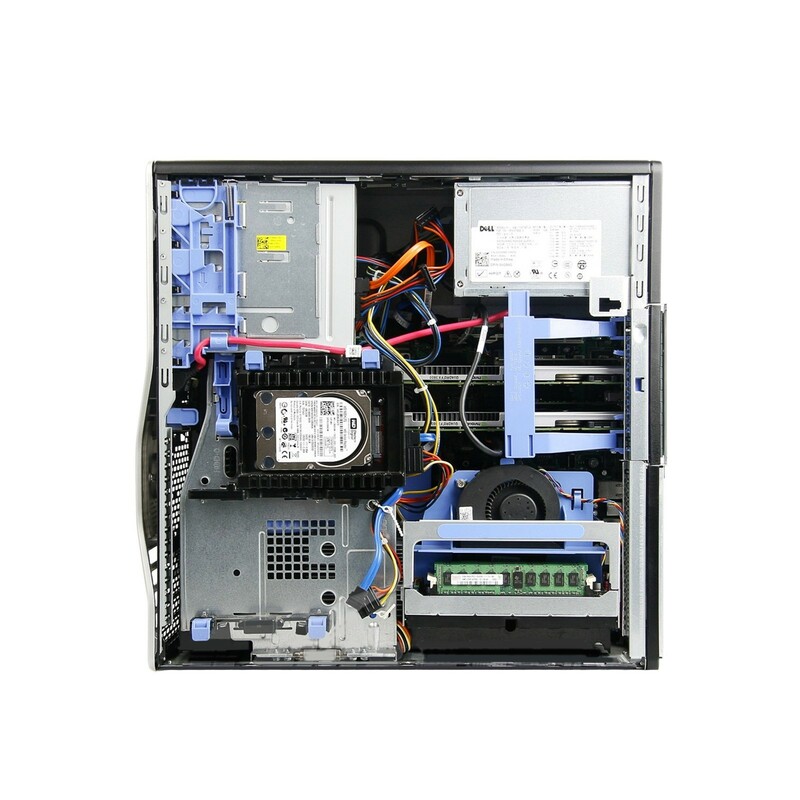 Only at Bargain Hardware can you configure every aspect of this Dell Precision T5500 Workstation to meet your price and performance requirements. From SATA & SSD drives to a plethora of processors and graphics cards, every option is available to build your perfect system. All refurbished Workstations from bargain hardware are supported by a 1 Year Return-To-Base warranty, covering all integral hardware and parts/components that affect the functionality of the equipment. 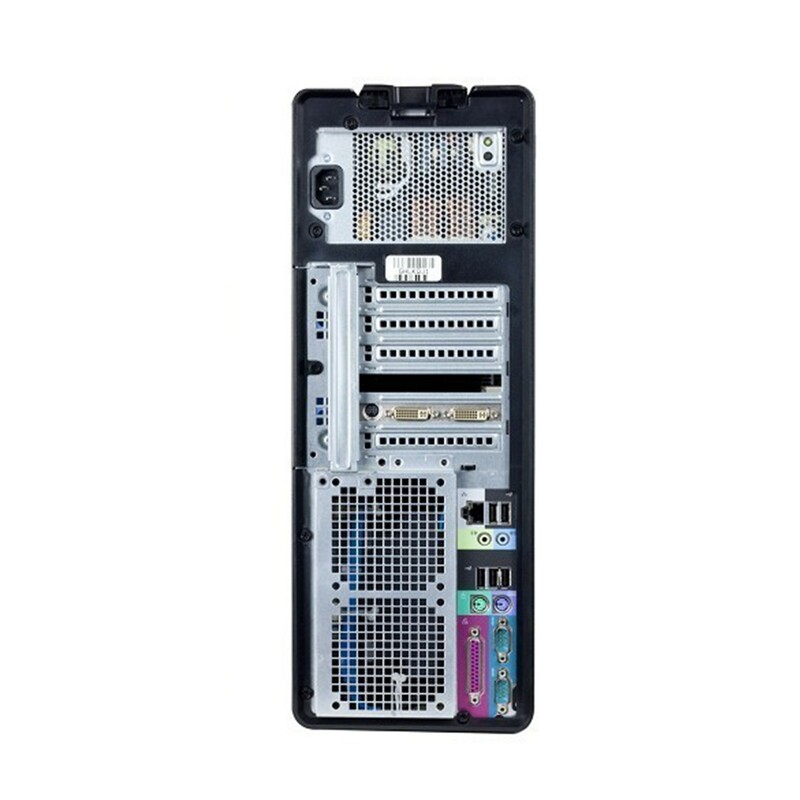 At bargain hardware we only deal with enterprise and business class hardware from world leading manufacturers. Originally sold with lengthy 3-5 year warranties, the Workstations we sell are designed with robust architecture for the ultimate reliability. Our standard 1 Year Warranty provides sufficient time to allow you to fully 'soak test' your purchase and discover any unlikely, underlying issues. Modern systems have at most only a single mechanical part (the hard drive) and failure rates of the main electrical components (processor, memory and motherboard) are incredibly low.